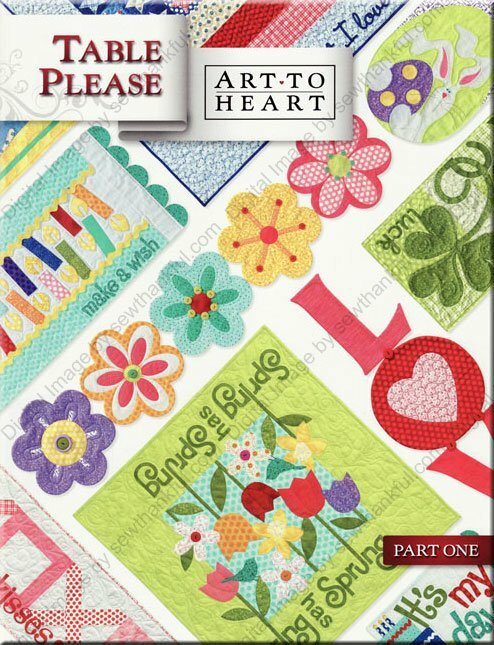 Change out your table runner every season, month, or more with "Table Please Part One" by Nancy Halverson for Art To Heart. In this softcover book,Nancy has you covered with wonderful designs for every occasion in cute and creative sizes and shapes. Full-sized patterns are included. 15 projects, 20 pages. Please check out our Patchwork Garden Kit (PGK) for the Happy Easter Table Runner.